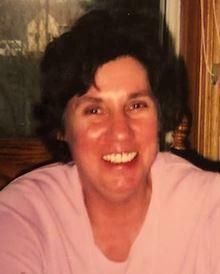 Crystal M. Winkleblack, age 65 of Holland, passed away Wednesday August 22nd surrounded by her family. She was preceded in death by her parents; Julius Hulst, and Marie Sale. Crystal is survived by her loving husband of 49 years, Danny Winkleblack; sons, Richard Winkleblack, Michael (Mounty) Winkleblack; grandson, Jacob Winkleblack; brother, Billy Hulst along with many nieces, nephews, cousins, brothers and sister-in-laws. Visitation for Crystal will be Monday August 27th from 5-8pm with a funeral service Tuesday August 28th at 11:00am. Both events will take place at Dykstra Funeral Home – Northwood Chapel, 295 Douglas Avenue in Holland. In lieu of flowers, donations may be made to the Susan G. Komen foundation, or the American Cancer Society.